Ada pertanyaan untuk MIDO Hostel? Ketika mengunjungi Pulau Jeju, Anda akan merasa layaknya di rumah ketika berada di MIDO Hostel yang menawarkan akomodasi berkualitas dengan layanan luar biasa. Hanya 0.2 km dari pusat kota, lokasi hotel yang strategis ini memastikan para tamu agar dapat secara cepat dan mudah mencapai ke tempat-tempat menarik. Dengan lokasinya yang strategis, hotel ini menawarkan akses mudah ke destinasi yang wajib dikunjungi di kota ini. Di MIDO Hostel, pelayanan istimewa dan fasilitas yang unggul akan membuat pengalaman menginap Anda tidak terlupakan. Untuk kenyamanan para tamu, hotel ini menawarkan WiFi gratis di semua kamar, layanan taksi, perapian, dapur, check-in/check-out cepat. Akomodasi hotel telah dipilih secara cermat demi kenyamanan maksimal dengan adanya televisi layar datar, rak pakaian, selimut listrik, loker, cermin di beberapa kamar. Disamping itu, hotel memiliki berbagai pilihan fasilitas rekreasi yang menjamin Anda melakukan bermacam hal selama menginap. Nikmati pelayanan tidak terbandingkan dan penginapan yang sungguh bergengsi di MIDO Hostel. The hostel location is near to many centralized bus stop. The staff (Mooji) is very helpful and recommend a lot of great spot of hidden gem in Jeju. 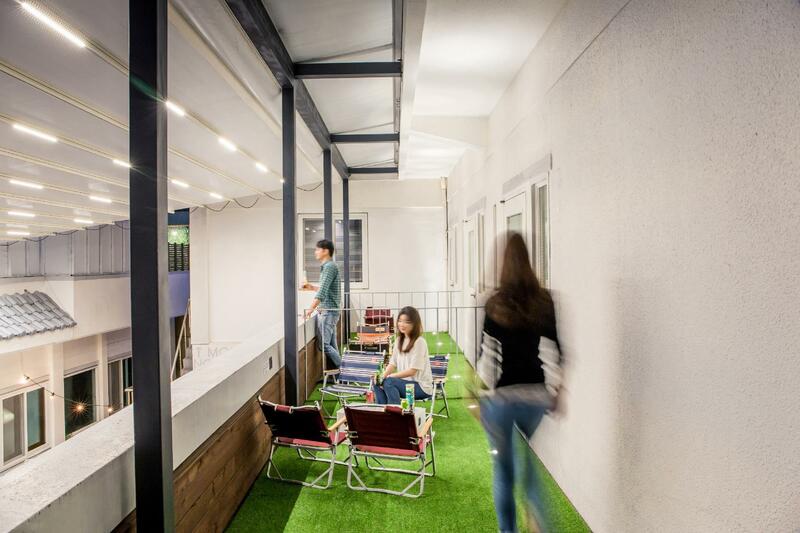 Clean hostel with outdoor cinema foyer where travelers can meet and mingle. public transportation is easily accessible, just a few walks away from the bus stations. very helpful staffs. the aunties would always tidy up the rooms and the shower rooms. nice facilities and I love the selection of music being played in the lobby/breakfast area. It is minutes away from the Dongmun Rotary station. The location is strategic enough for you to explore the beauty of Seogwipo has to offer (although it's a bit hard for a 'road blind' like me) . Staff spoke good English and was friendly enough to attend to your queries attentively. Nice hostel, the staff were super helpful and nice, great common area and they put a movie every night. The breakfast was great and the rooms and toilet were clean all the time. Lights shut off at 11pm though so you can't take shower after that time. We were there when it was nearly winter, the beds were equipped with warmers. Beds are spacious, toilets/shower rooms are very clean. Liked the fact that hair dyers/curlers/mirrors are available at the common area outside the bedrooms. The pantry can be a bit crowded during breakfast/night time. Didn't managed to do laundry coz they said slots were full. Distance to bus stops are acceptable and it is just walking distance to the traditional market. Staff were extremely helpful and were always nice. The common area is very nice and looked comfortable but pretty busy so we didn't get a chance to hang out there. Hostel is quiet and clean. Lights out and no showering after 11pm so good for people who like a quiet place, but bad for people who want to stay out late. Because this one's got a lovely courtyard, nice terrace in the second floor, also dormitory is very spacious and each bed has own private curtain & power outlet. Located right next to the most famous market in the city which means you've got a chance to try plently of fresh local foods. What else? 員工友善，也能解答一切關於濟州的知識。這一點不是太多濟州的民宿能做到。也接近西歸蒲市區的大小熱點。 Location is not extremely good but still close to Seogwipo Market, and Lee Chun Seop Art Street by just 3 to 5 mins walk. Others are nice especially the staff. They r nice, enthusiastic ,and full of knowledges in Jeju. They can speak well english and answer all about in Jeju. Great! Its design is very modern and the recycle of items from old building is impressive. The staff is very kind and helpful they explain the routes for various attractions, and moreover the bus stop is just 3 min away on foot. Of course the room is very clean. Great Hostel! 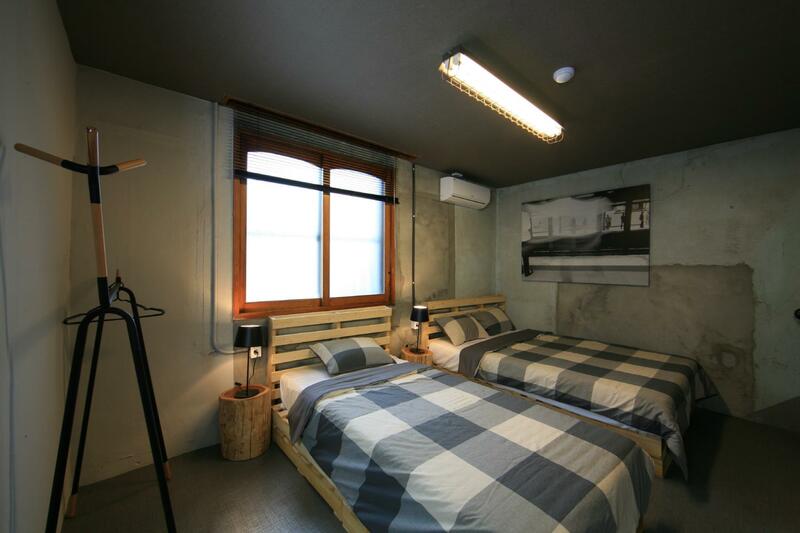 Simple and clean hostel, well located in Seowipo. Fair breaksfast, just missing the butter. Regarding the staff, if you ask them, they will provide you the info you need, however, it would be nice that they are a bit more friendly and communicative ( maybe it is the difference of culture between Korea and Europe), but I think European customer will appreciate it! It's very clean. It provides shampoo and body wash which is not mentioned in its profile. It also provides hair straightener which is very impressive. The bed is bigger than normal single bed in a hotel. 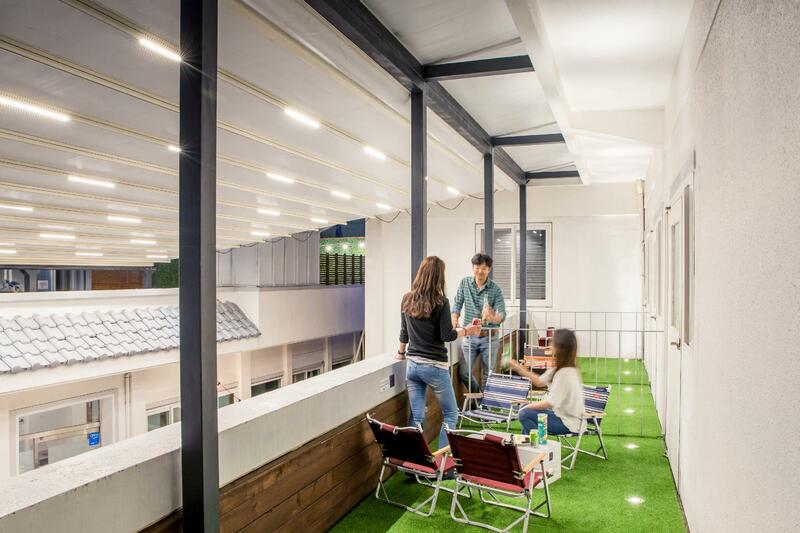 I think this is the cleanlinest hostel that ive been to since I traveled. They have a good breakfast also. Wonderful staff, great location!!! Everything was perfect! Staff were very helpful. It's near the market and a big bus station. Place was actually beautiful. Rooms were clean and spacious. Would recommend. 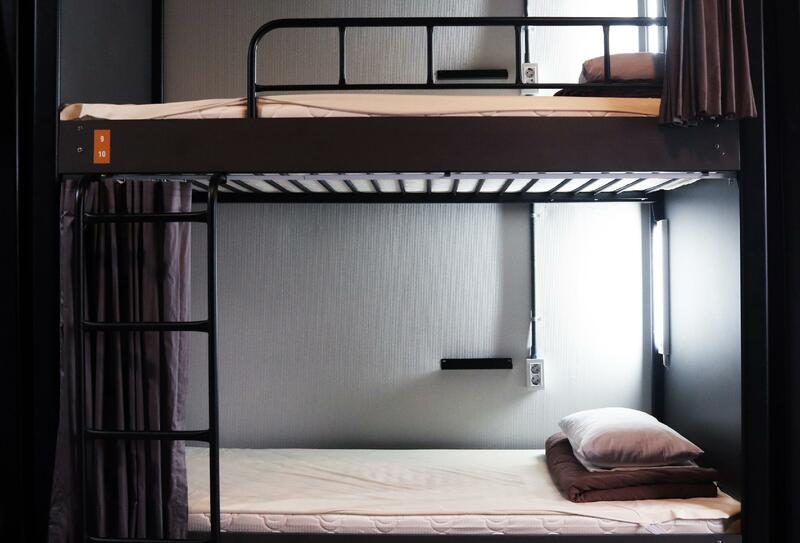 The hostel is suitable for solo travelers. There is no lift in the building, suitable for light travelers. the staff very helpfull and fast response, the bedroom and bathroom are clean.